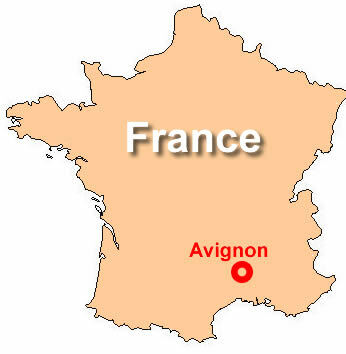 Avignon is situated in the Provence region in the south of France. 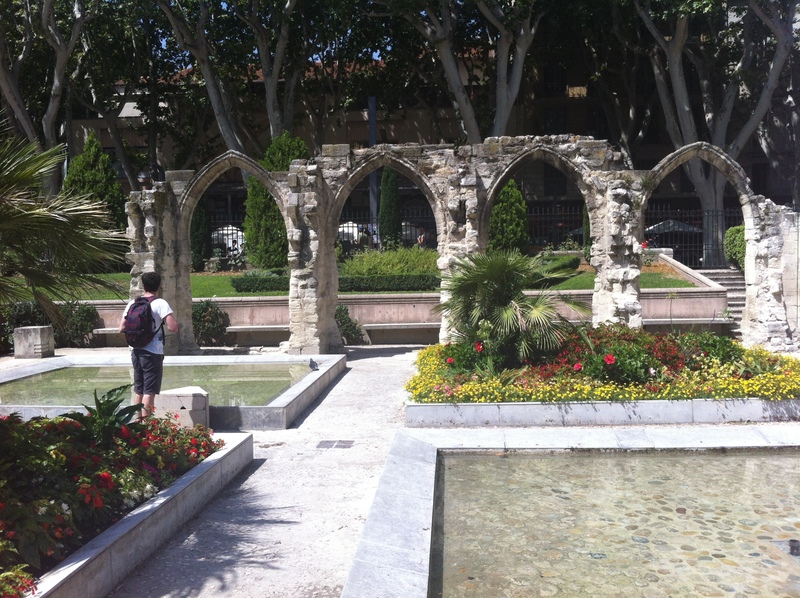 It is easily accessible from Southern cities like Marseille and Montpellier, and via the North by TGV. Avignon is genuinely one of the most beautiful places I have ever visited. As soon as you leave the train station, you are confronted by the old city walls, which are not ruins, but have been magnificently restored. Entering the city, you are given the impression of a very small typical French town. There was the sweet smell of the freshly baked baguettes from the boulangeries, as well as an old man playing his accordion under the burning sun. It was a hot August day and the temperature reached 36c! 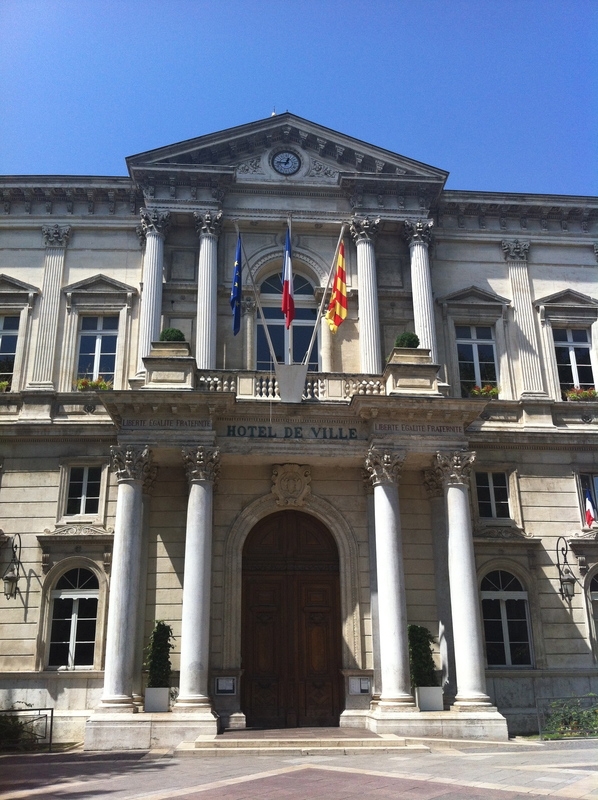 The office de tourisme is conveniently located in between the train station (that is Avignon centre, Avignon TGV is situated about 6km away) and the main city centre. Staff were friendly, providing maps and offering advice. It also gave us the opportunity to eat lunch in what was one of many beautiful gardens. After this, to head to the main town centre, continue up Rue de la République until you reach Place d’Horloge, a large square with many restaurants and bars. Although many can be very expensive, no doubt aimed at tourists, there are many other streets off of here that are cheaper and offer more traditional French food. The square also contains the city hall, and like most city halls in France, it lived up to the grandeur that I have begun to expect! 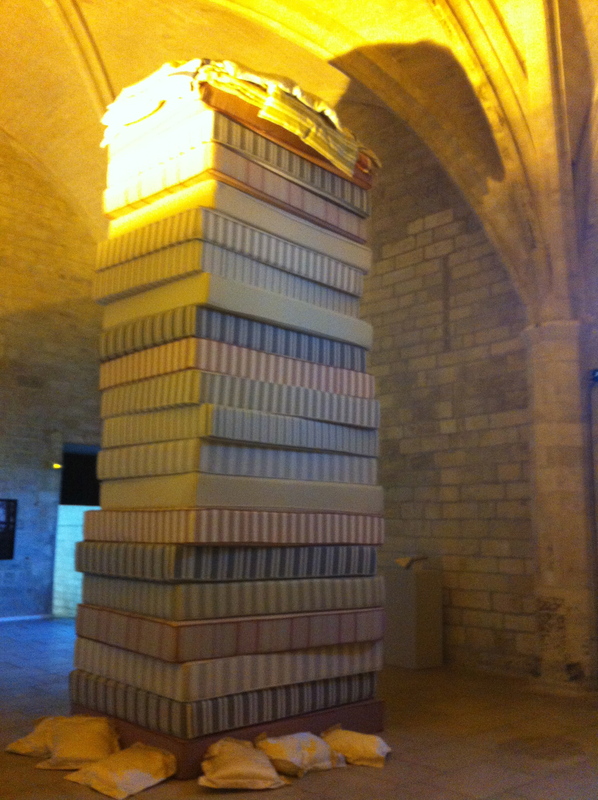 Continuing down the road, and you soon reach the Place du Palais, featuring the incredible Palais des Papes. 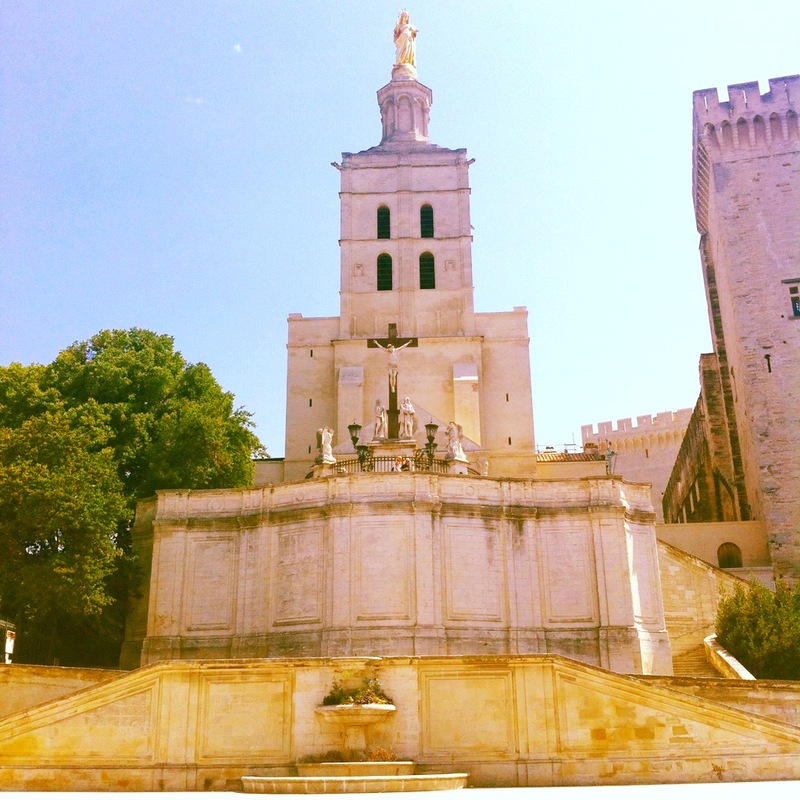 Before going to Avignon, it is important to know a little history about the city itself. 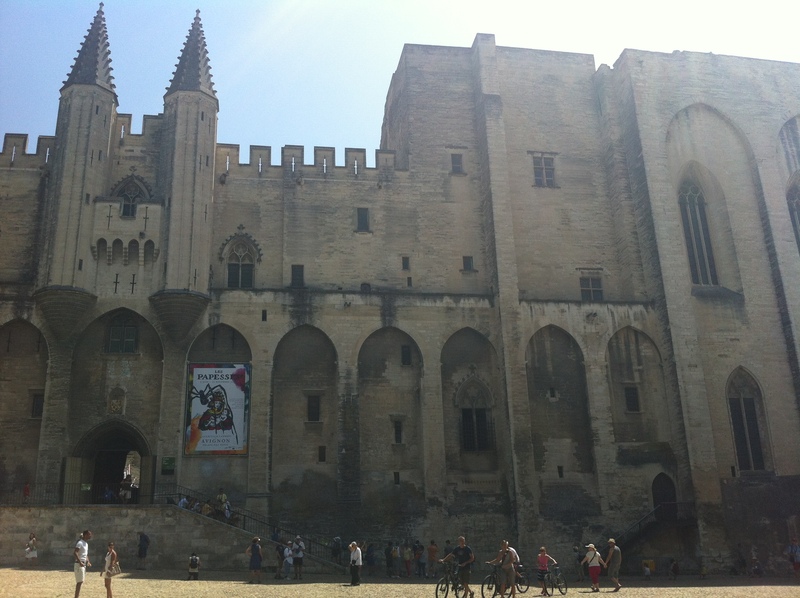 In the 14th century, it was home to several popes, having moved the Papacy from Rome to Avignon. 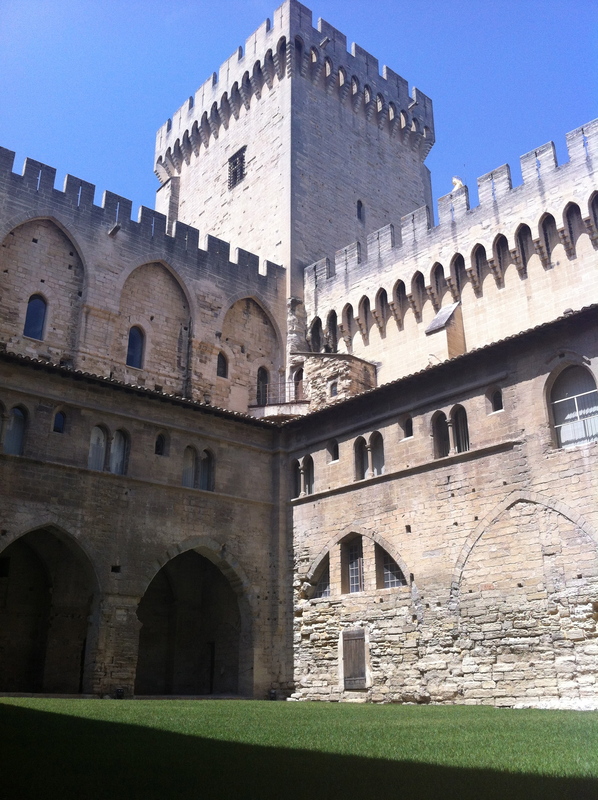 The Palais des Papes was built during this time, and is now a museum. Reduced price for entry to the museum plus the Pont d’Avignon was 11€ and is available for students, children and people aged 65+. Normal entry is just a couple of euros extra. It is well worth it, as the museum is huge. There is also the option of getting an audio guide, and there is a place to leave luggage. The museum is massive, and it took us about an hour and a half to walk around the entire thing. There are various things to see, including the old Pope’s bedroom, with some incredibly old art murals. There is also lots of modern day art, situated throughout the museum. One of the things that I personally enjoyed most about the Palais des Papes were the views that it offered over the city of Avignon and beyond. Get up there and have a look. There is a café at the top to reward you for all those stairs that you have climbed! Tip: Make sure you visit all of the rooms in the museum, there are many hidden away and you may easily miss something! 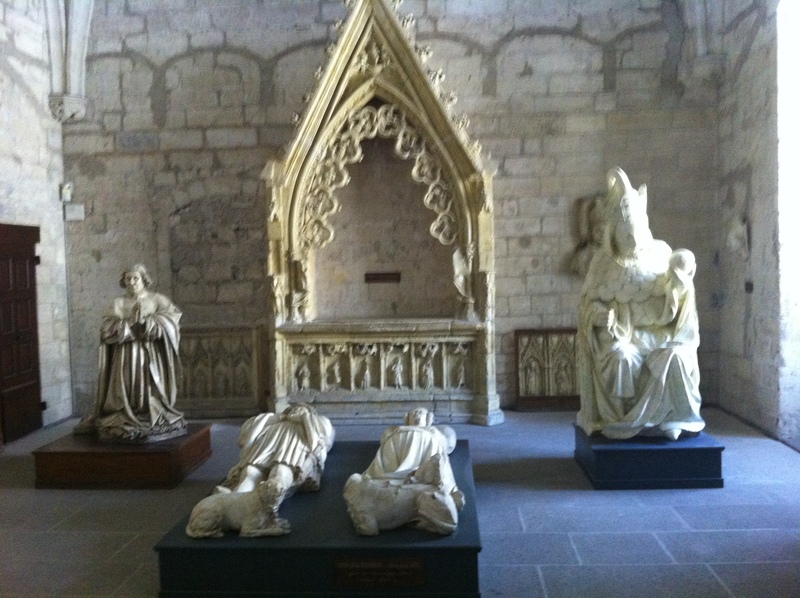 Just next to the Palais des Papes is a beautiful church- Notre Dame des Doms. Whilst rather small inside, it is well worth a look to see the mosaics and the small chapels. Leaving the church, we passed by the gardens just to the right of it. They really were beautiful, and provided the perfect scenery for the summers day. 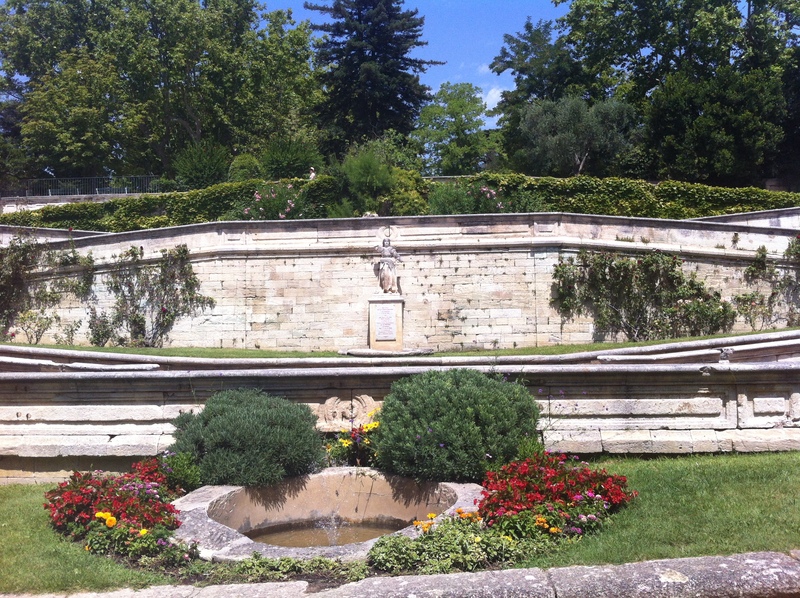 It is well worth going into the gardens to have a look, or even better, for a little picnic in the shade. The views of the Provence region are incredible. 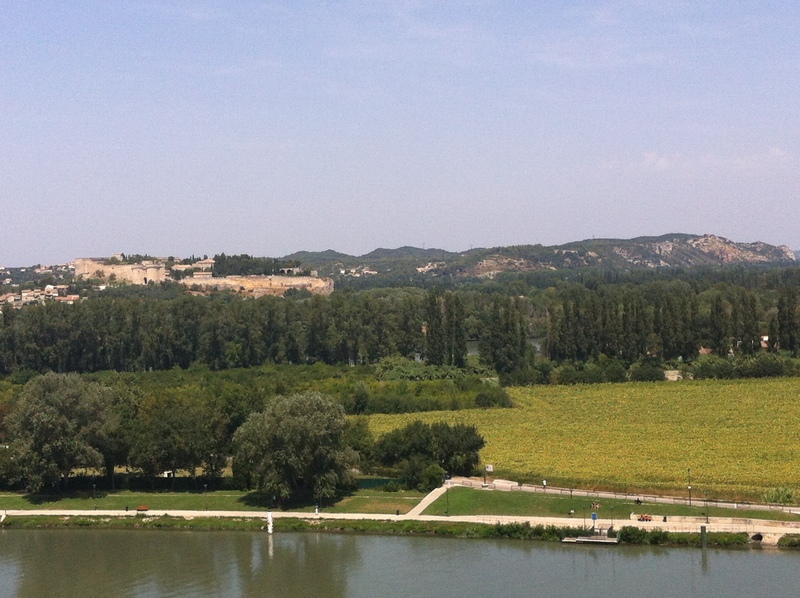 Beyond the river Rhône, you will see vineyards, castles, and the mountains. It is a very picturesque view. 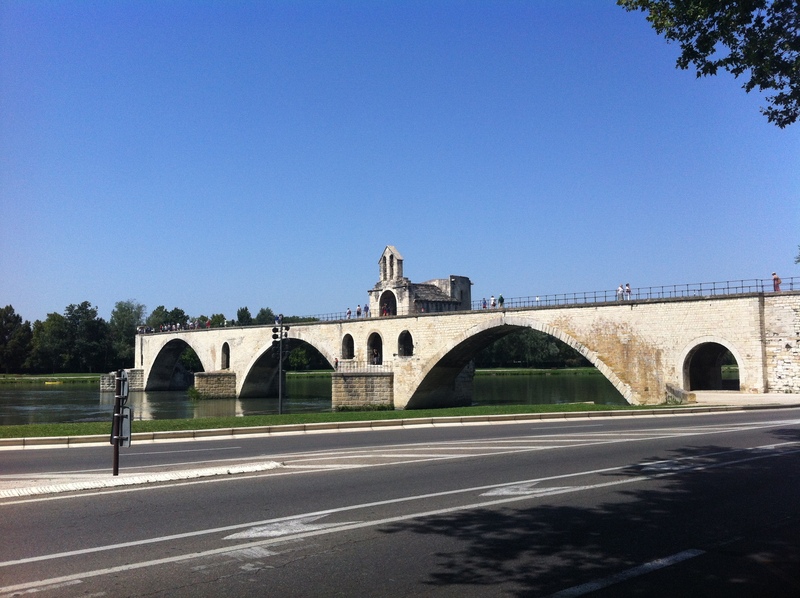 You will also see an overview of Pont d’Avignon from there. Of course, you cannot come to Avignon without walking on the Pont d’Avignon. There is a small room that tells you a little bit about the history of the bridge, and of course a history of the song. I only had a short time to spend in Avignon, but the city was very easy to view in 5 hours, without being too time-pressured. Although we saw the main things, there are also many other museums to see, and no doubt more beautiful scenery to explore! So I have to start at the beginning I suppose: Lyon. Having decided to embark on a year abroad for University, Lyon was instantly my first choice of destination. Why? I am still unsure myself. I am from the Berkshire countryside, and I go to University in Norwich, which is a rather small city. I wanted something different, something big and exciting. And Lyon seemed to fit these requirements. Rather than talking about my year abroad, which is not the idea of this blog, I will try to stick specifically to travel blogging and talking about the city and its beautiful sights. 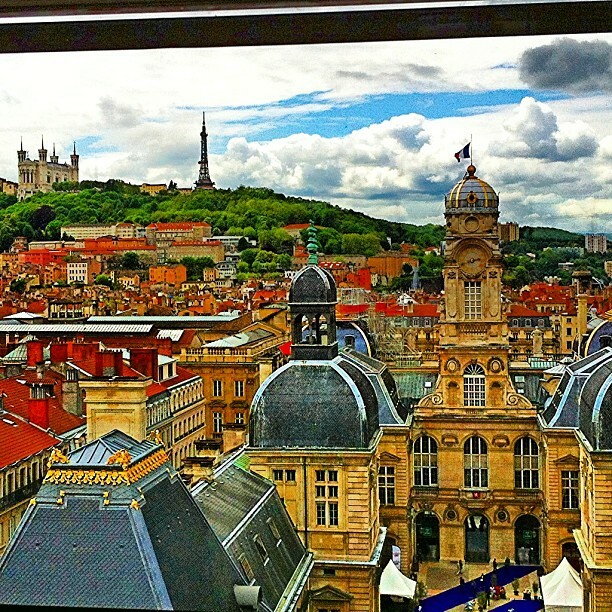 Lyon is situated in the Rhône-Alpes region, centre/south-east of France, in between Paris and Marseille. It is close to the alps, which means very cold winters, but very warm summers. The main centre of Lyon is on the “Presqu’il” which means “Nearly Island” in English. There are two rivers that run through Lyon, and they meet at Confluence in the south of the city, which creates a “nearly island” in the city. The main centre on Presqu’il is Place Bellecour, which is one of the largest squares in Europe. It contains a statue of Louis XIV, and a beautiful view of the Basilica- Fourvière. Throughout the year there are many events that take place in Bellecour, with some highlights for me being a huge Ferris Wheel and an international festival. It is also where the tourism office is situated. The Basilique de Fourvière is the iconic site in Lyon. 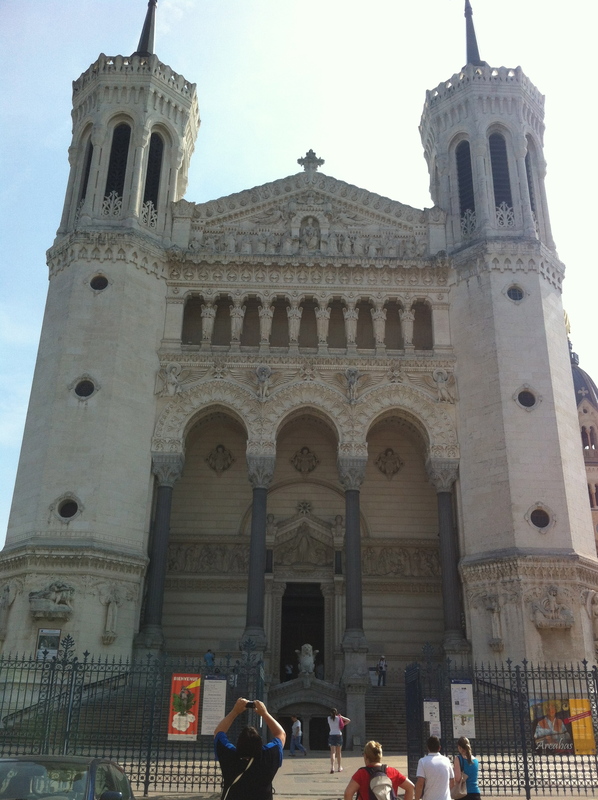 It was built by the people of Lyon, and is used for daily masses. The inside of the building is truly magnificent, with mosaics from floor to ceiling in the upper church, with the lower church being more simplistic. It also contains several small chapels. The view from the top of Fourvière is incredible, and if you’re very lucky, you will get a great view of the Alps and Mont Blanc. 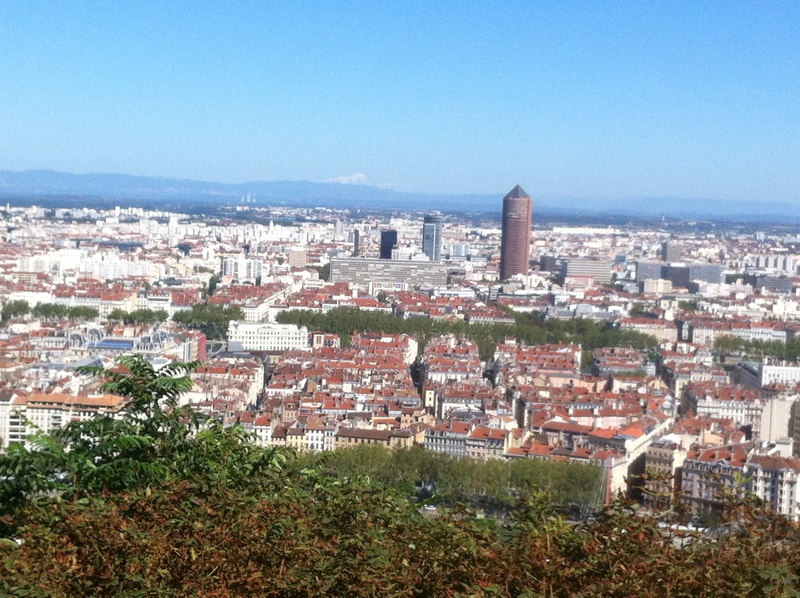 It provides a beautiful view over Lyon, and gives you a good idea of how the city is laid out. Further north of Bellecour, but still on the Presqu’il, you will find the Opéra and the Hôtel de Ville. They are both beautiful buildings situated right next to each other, and provide a focal point for the fête des lumières, or festival of lights, which is a famous festival in Lyon around the 8th of December every year. Every year, the Opera has an ‘Open Doors’ day, where you can look around inside. It is really fantastic, and gave me the opportunity to take this unique shot of Hôtel de Ville with Fourvière in the background. 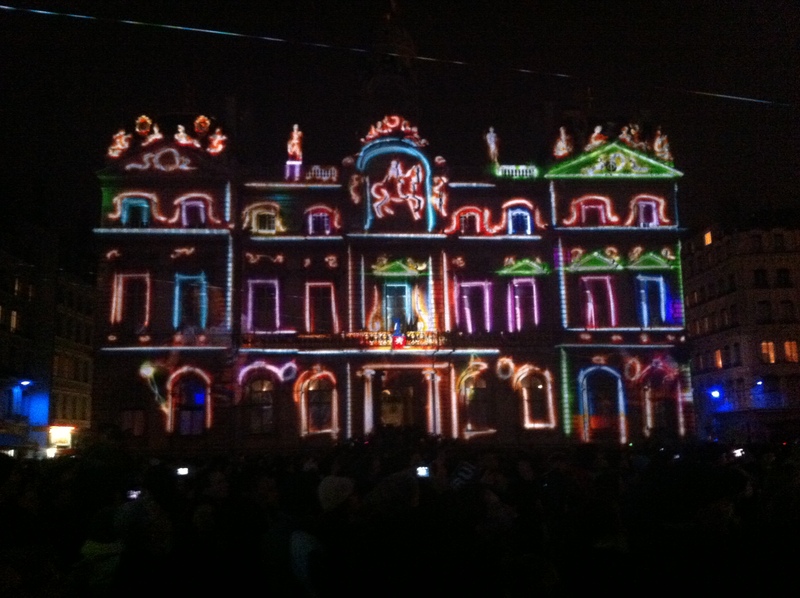 And this is Hôtel de Ville during Fête des Lumières. This photo does not give the Festival of Lights the credit it deserves, and I would fully encourage people to watch Youtube videos, and then to travel to Lyon itself to see the spectacles! The above sights in Lyon are the main touristic sights. 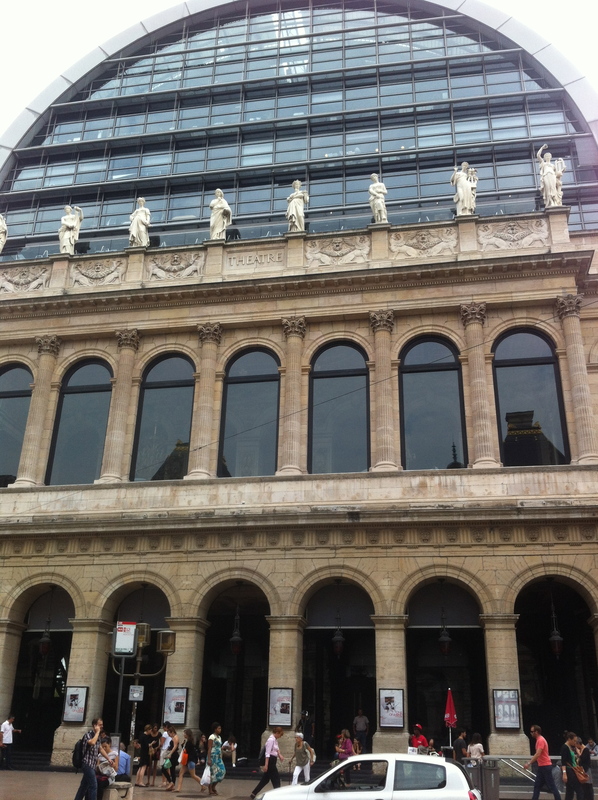 However there are also plenty of other beautiful buildings situated throughout Lyon. I have been visited by friends and family to Lyon, and most have remarked that there are a lot of fountains in this city, each very different and unique, but all very grand and striking. I would definitely recommend just wandering around Presqu’il and admire the French architecture. Visiting Vieux Lyon is a must- the building are incredibly old, and it has a fantastic atmosphere, with many bars, pubs and restaurants. As Lyon is the food capital of the world, it is imperative to eat in one of the many bouchons situated in Vieux Lyon. Perhaps the most striking building after Fourvière, is Lyon’s tallest building, in the shape of a pencil, called Tour Part Dieu, although more commonly known as Le Crayon (see the above photo of the view from the top of Fourvière). It is an office building with a hotel at the top. The bar at the top is open to the public, and it gives views of the East of the city and it’s suburbs. Close to Part Dieu is Les Halles, a huge indoor market. There are many markets in Lyon, and this one stands out with it’s incredible food on offer. Parc de la tête d’or (park of the golden head) is a huge park situated very close to the city centre. It features a large lake, where people can hire various boats out. It also has a large zoo, and a botanical gardens- which are both free to visit. It also has seemingly endless grassed areas, both in the sun and the shade provided by trees. 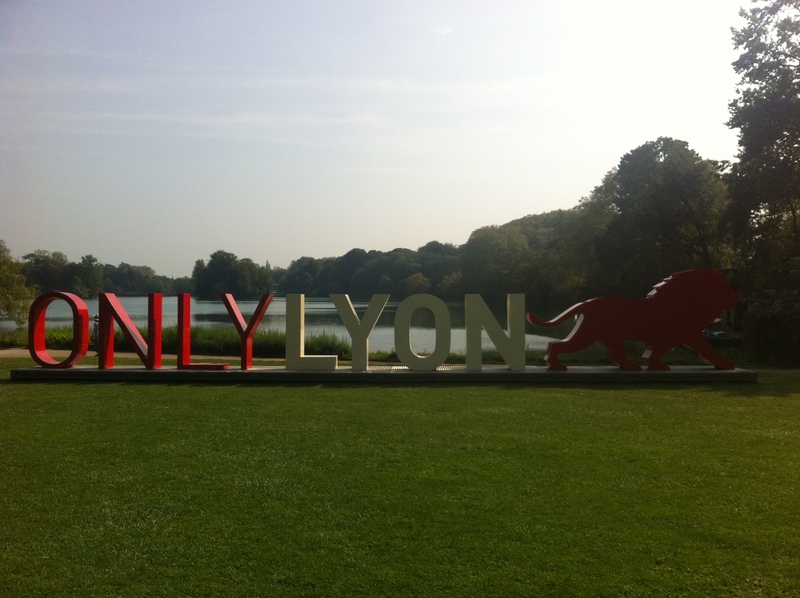 It is the perfect place to relax in the sun, to go for a run, or to take the kids to the zoo- it really does have everything, and is a must-visit place in Lyon. 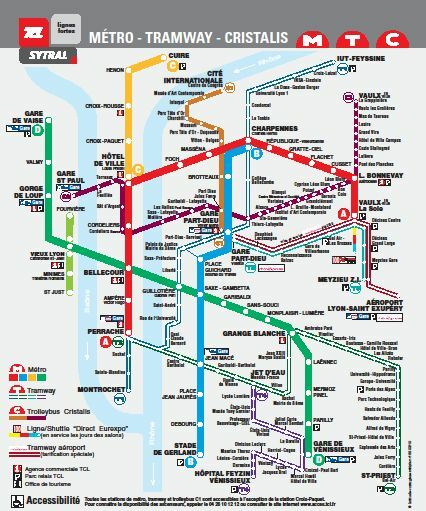 One thing that almost immediately struck me when I came to Lyon was it’s incredible transport network. It is very efficient, reasonably priced and covers a very wide area. For a single ticket- 1,70€. The downside- it is so good that I have become so lazy, taking the metro just 1 or 2 stops which would normally be just a 10 minute walk. There is also a bike system where you can hire bikes for an hour from a station in one part of the city, and leave it at another station anywhere else. There are direct high speed train services (TGV) to Paris and the south several times a day, as well as many smaller lines to regional parts of France. The airport has many flights to many different countries, including places as far away as Dubai. The Rhône Express is a tram service that takes you from the centre of the city to the airport in under 30 minutes, although it is quite costly at over 10€ for a single ticket. Lyon nightlife has been fantastic but very costly. Drinking in pubs and bars is very expensive, with the average pint costing you 6€. Being in France, and so close to the Beaujolais region, wine is of course very cheap in Supermarkets. The main area to find bars is around Hôtel de Ville, or along the river Rhône where there are bars on boats, and even huge nightclubs, most notably Ayers Rock Boat and La Platforme. I have immensely enjoyed living in this city, and all of my friends and family that have visited have loved it. 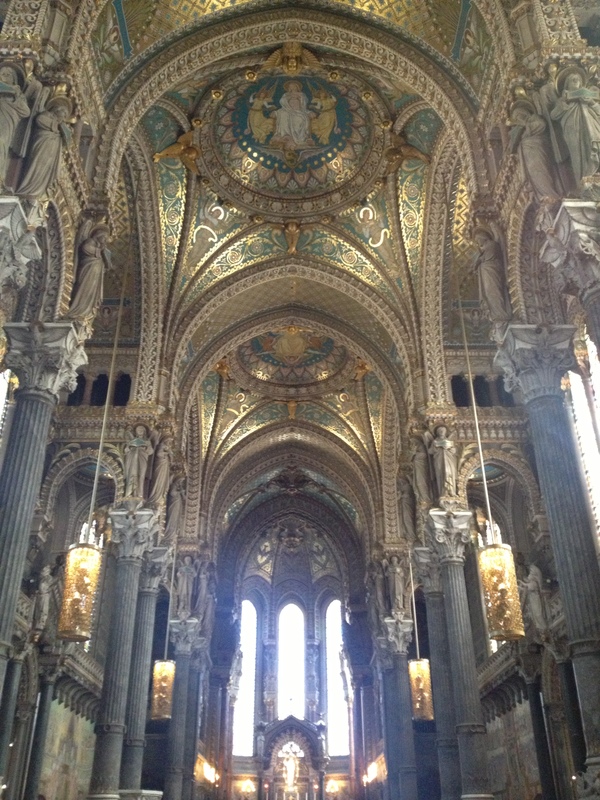 Before coming here, I certainly did not expect the beauty and grandeur that Lyon has. It is perfect for a short get away, and I would thoroughly recommend it to all ages. I will leave you with this photo taken on Bastille day, July 14th, with a view over the river Rhône and the building Hôtel Dieu.